Quilted and embossed. Individually wrapped to ensure sanitary protection. 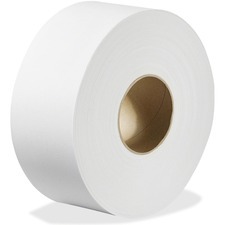 Two-ply.429 sheets per roll.48 rolls/ctn. The softest, most luxurious bathroom tissue. Product available Nationally.Embossed pattern.Two-ply.165 sheets per roll.12 rolls/pkg. Cushiony soft and absorbent. Two-ply. Double roll.142 sheets per roll.4 rolls/pkg. Cushiony soft and absorbent with DuraClean™ texture. Two-ply. Double roll.154 sheets per roll.12 rolls/pkg. Cushiony soft and absorbent with DuraClean™ texture. Two-ply. Double roll.154 sheets per roll.4 rolls/pkg.